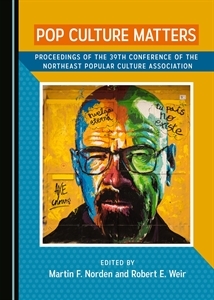 Call for Papers for Film and History area for the October 27-28, 2017 Northeast Regional Popular / American Cultural Association (NEPCA) annual conference. Call for Papers: Film and History. The annual fall conference of NEPCA will be held at University of Massachusetts in Amherst, MA on October 27-28, 2017. Deadline for proposals is June 1, 2017. Visit the NEPCA website at: https://nepca.wordpress.com/2017-conference for full information on proposal submission and registration. Film and History welcomes presentations on a wide range of film topics contributing to popular culture. Please submit your paper proposals by following the 2017 Paper Proposals link at https://nepca.blog/2017-conference/ by June 1, 2017. NEPCA presentations are generally 15-20 minutes in length and may be delivered either formally or informally. As Area Chair of Film and History, I am happy to preview your proposal. However, all final submissions should be “CC’d” to me at cmitchel@springfieldcollege.edu in addition to your submission to the program chair. NEPCA prides itself on holding conferences that emphasize sharing ideas in a non-competitive and supportive environment consisting of graduate students, independent scholars, junior faculty, and senior scholars.